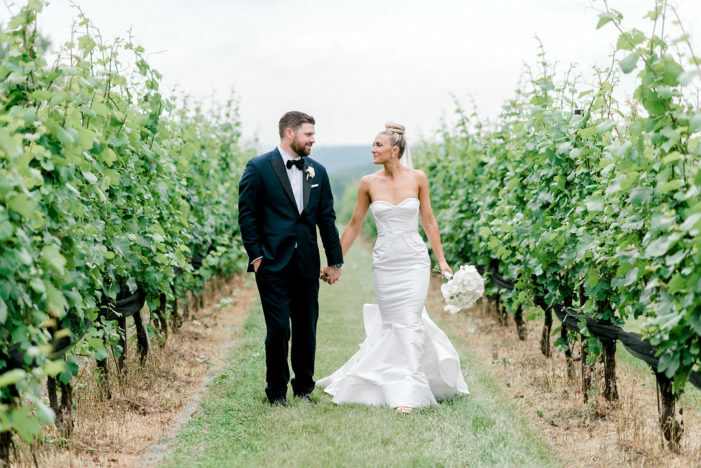 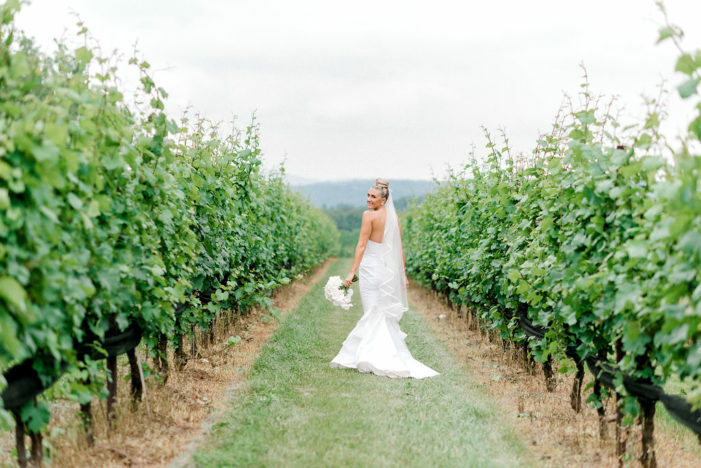 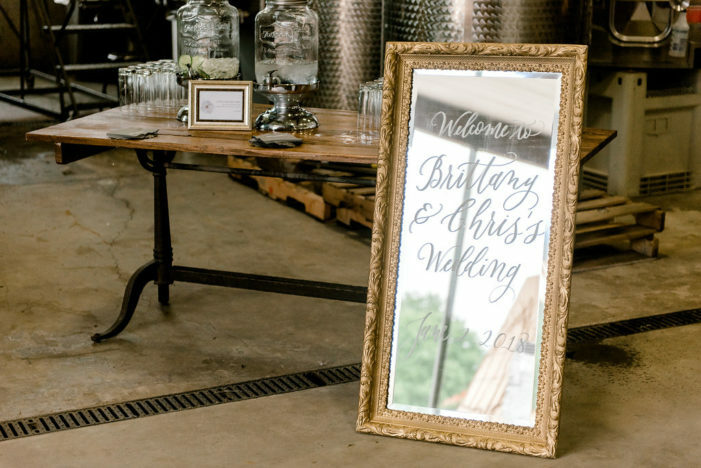 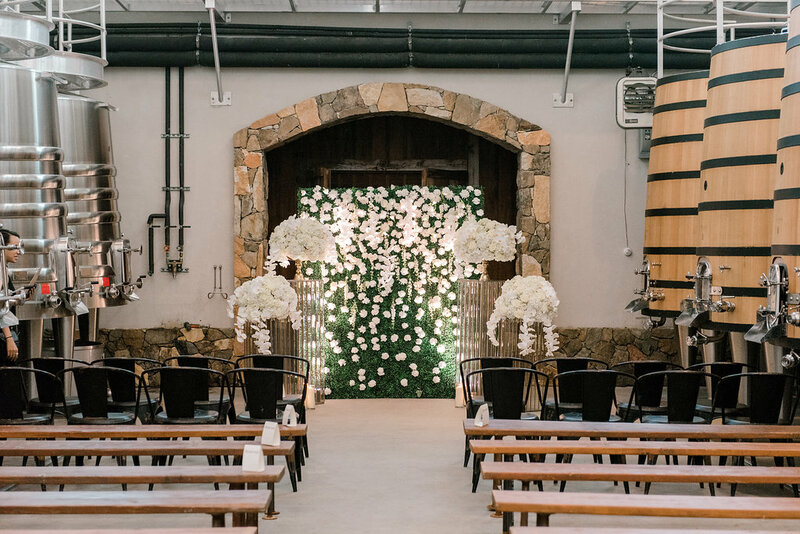 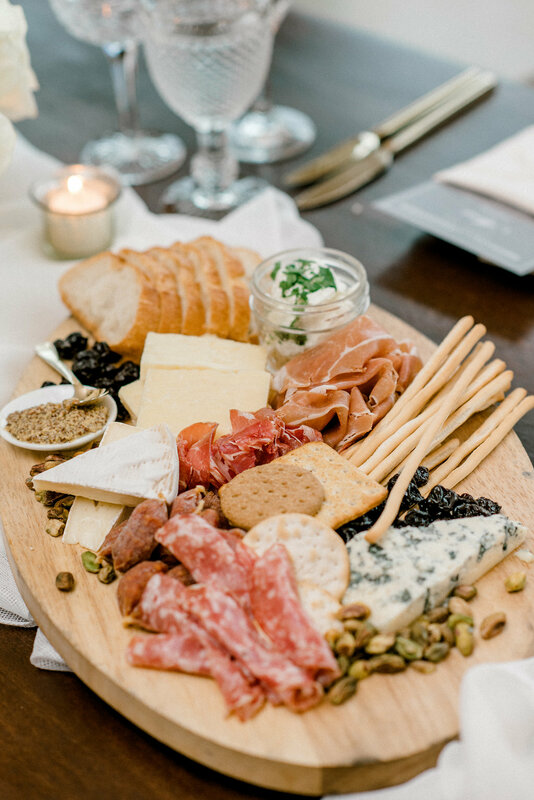 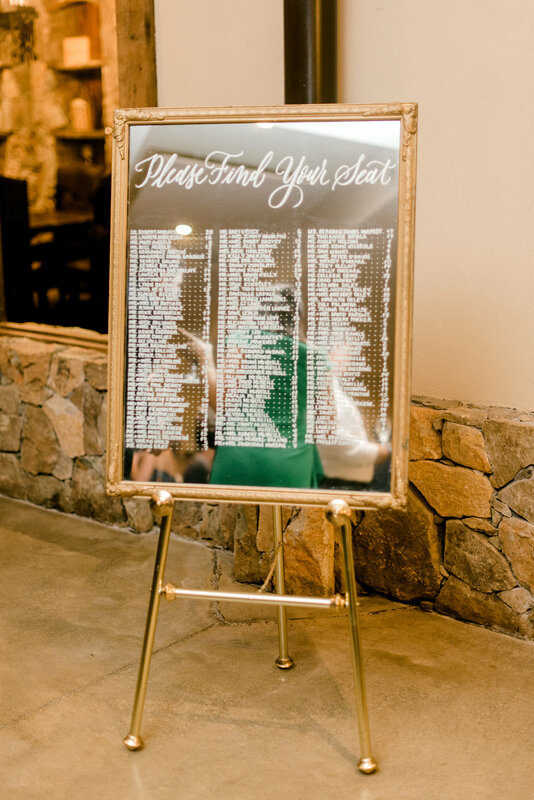 We are so excited for todays Virginia winery wedding at Stone Tower Winery in Loudoun! 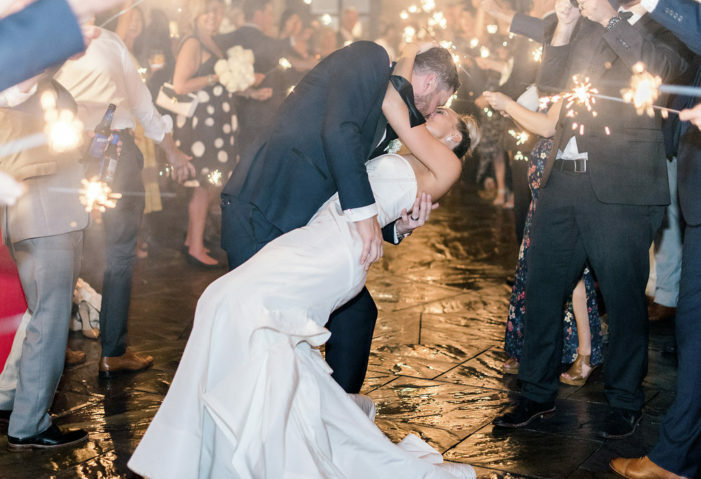 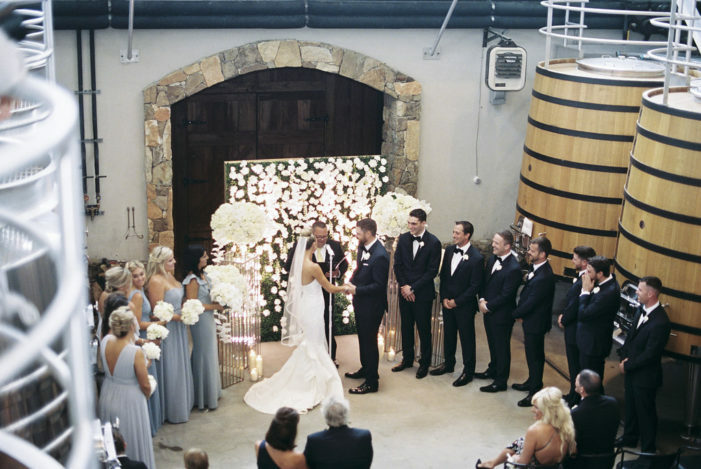 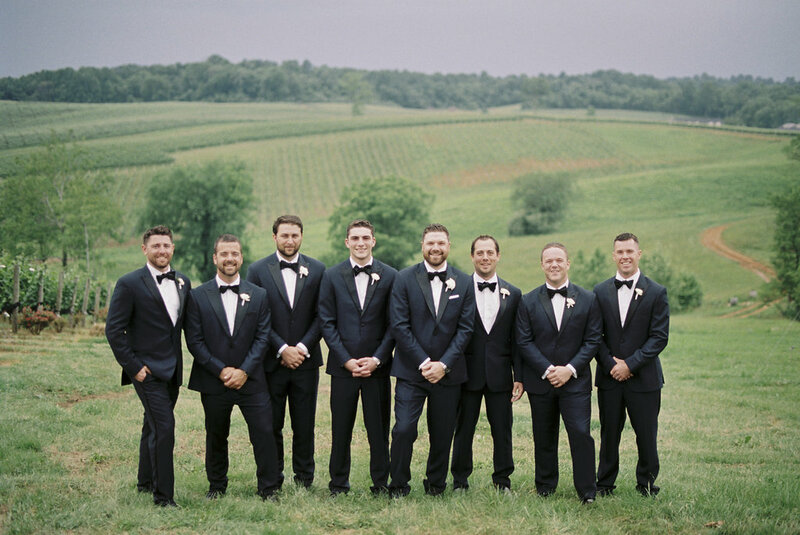 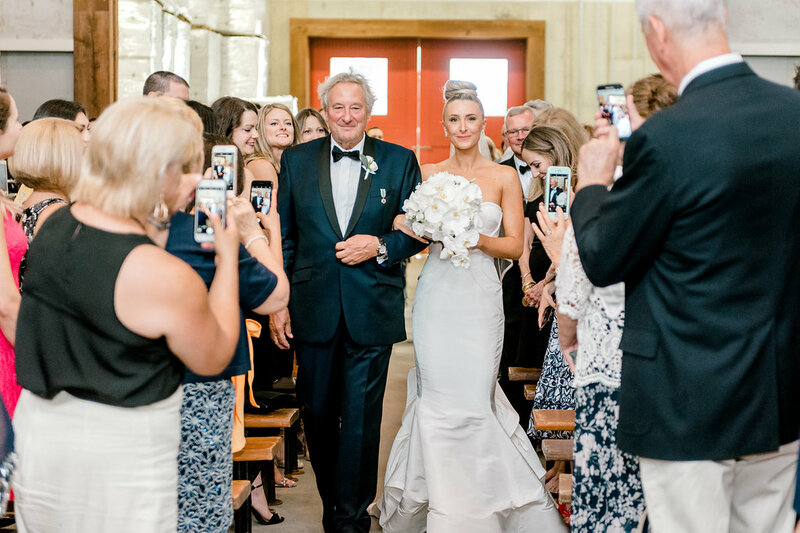 Hands down this glam wedding ceremony is one of the most beautiful all white weddings we have ever had the privilege of sharing. 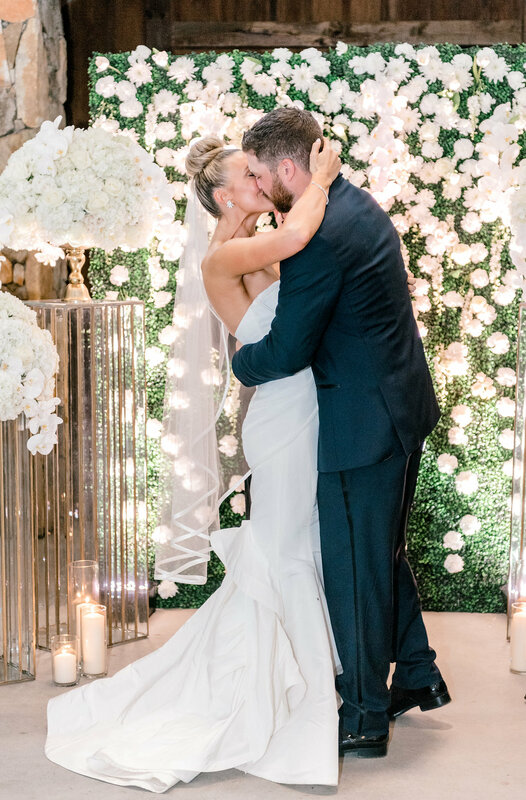 Brittany and Chris were married last June, and while the rain tried to dampen their celebration; they refused to let it affect their big day. 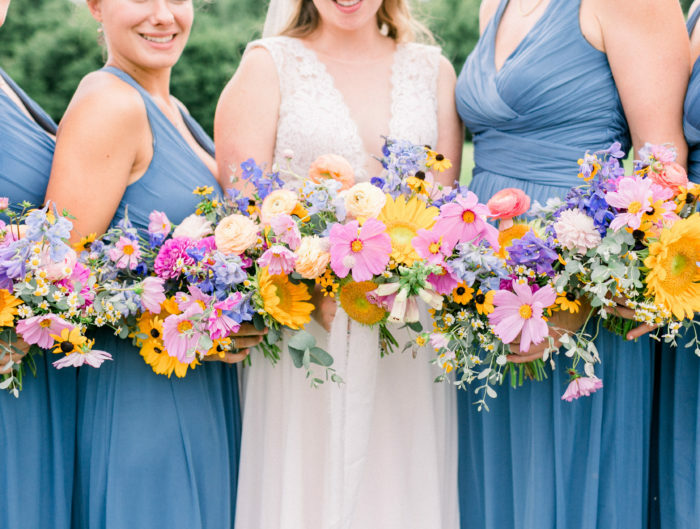 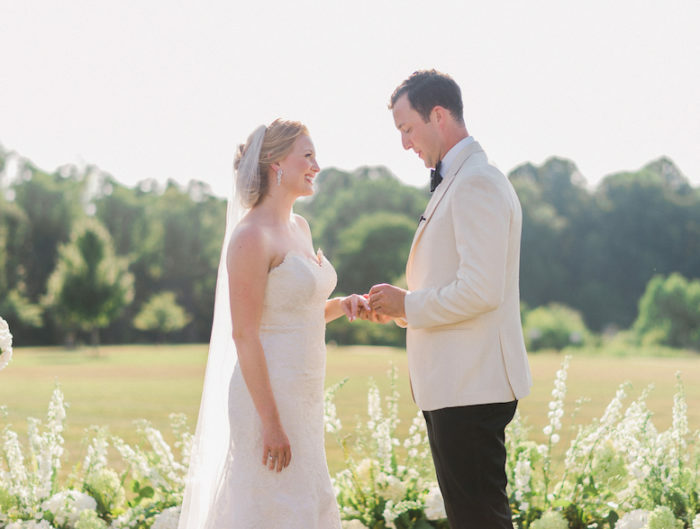 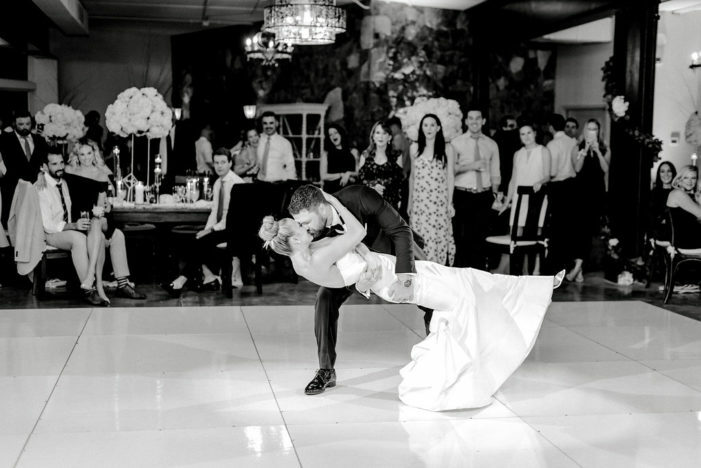 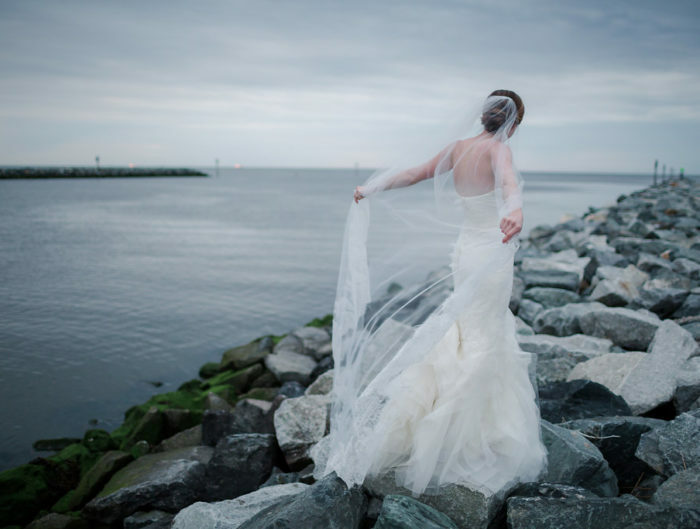 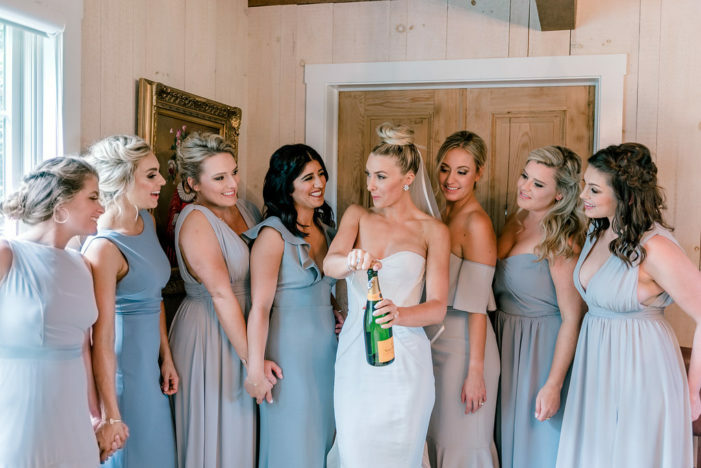 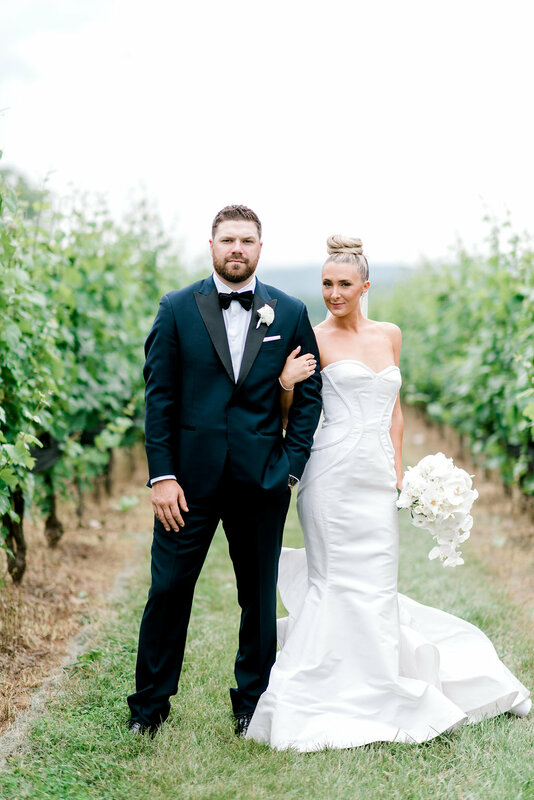 We are in love with the Brittany’s style from her chic top bun to sleek modern bridal bouquet. 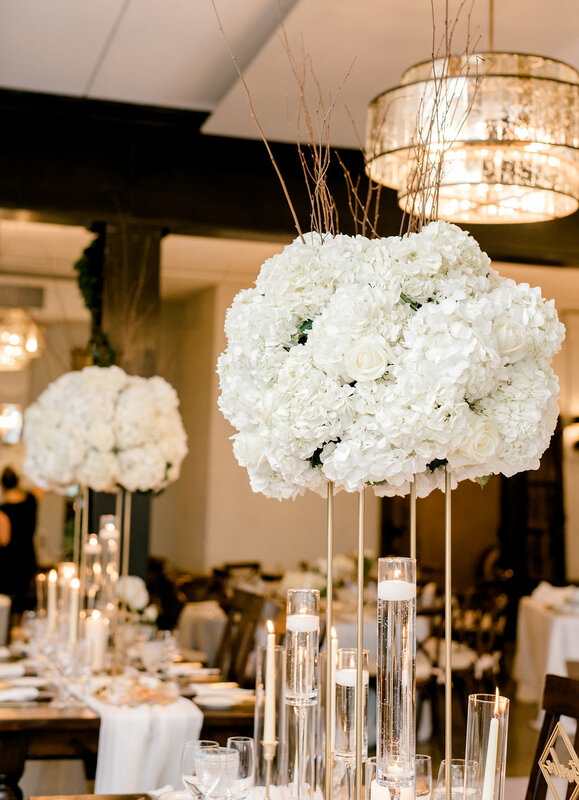 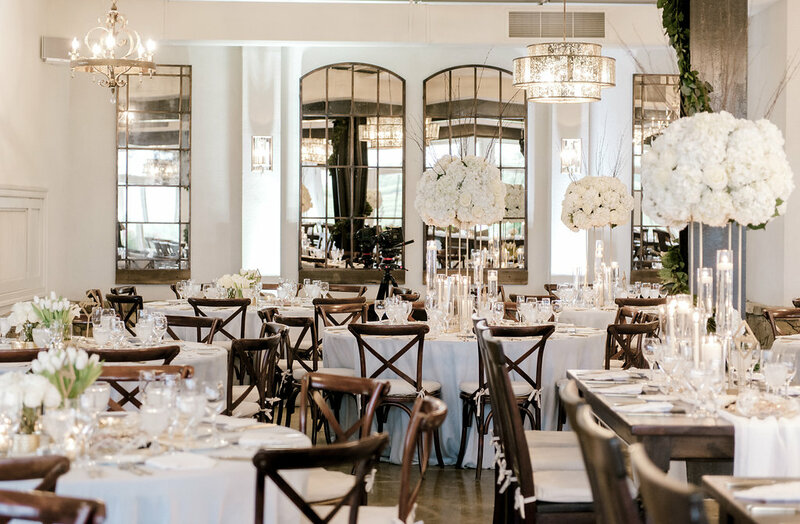 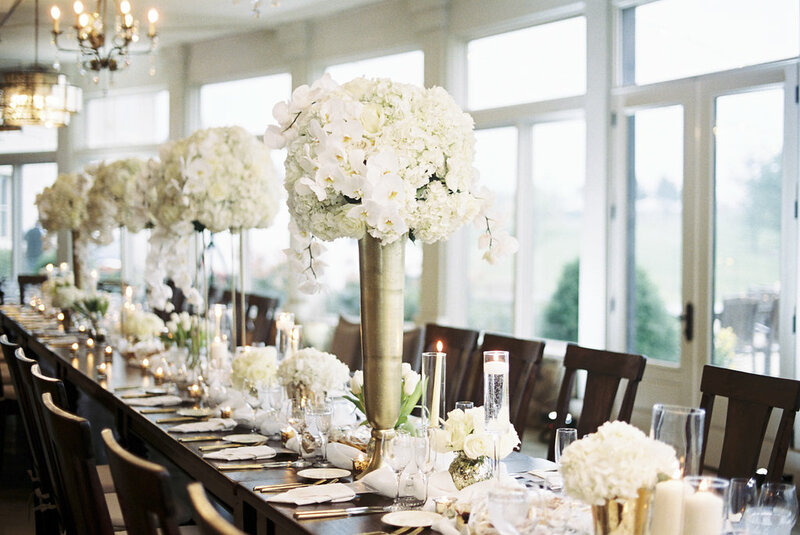 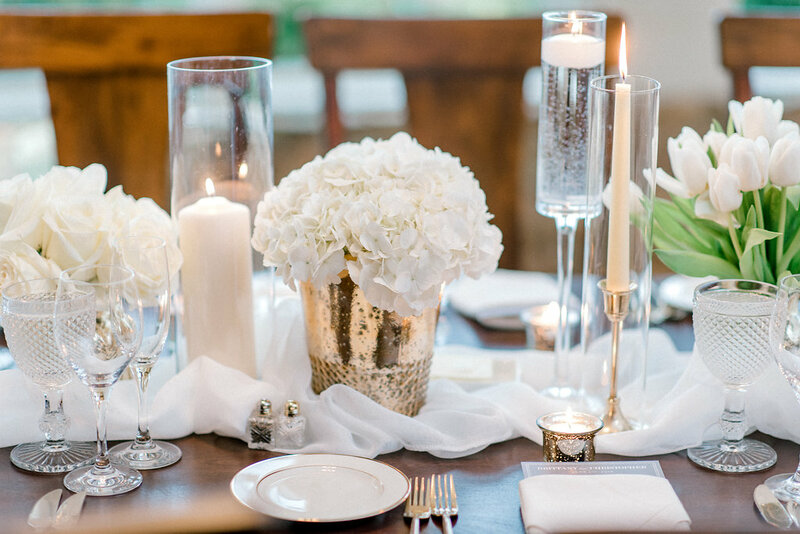 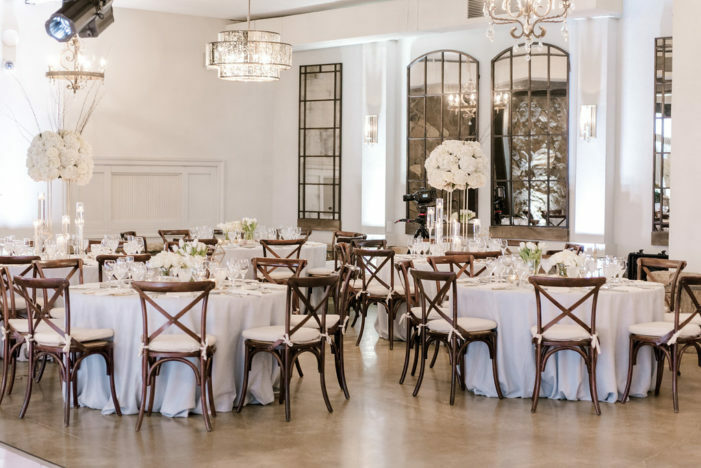 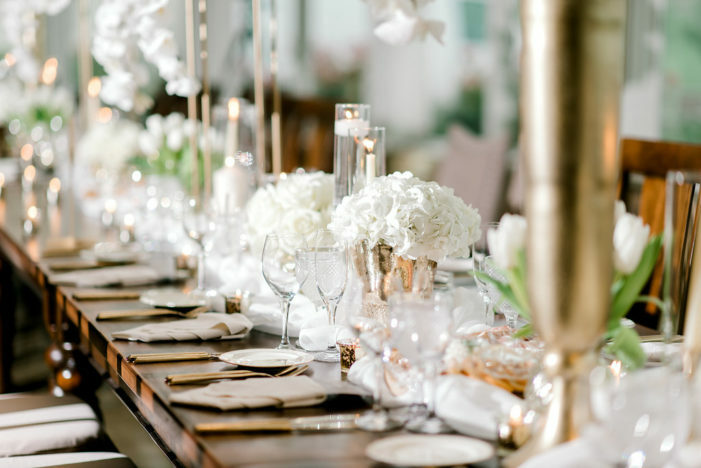 The all white posh décor was abundant from the orchid centerpieces through to the sparkling gold candles. 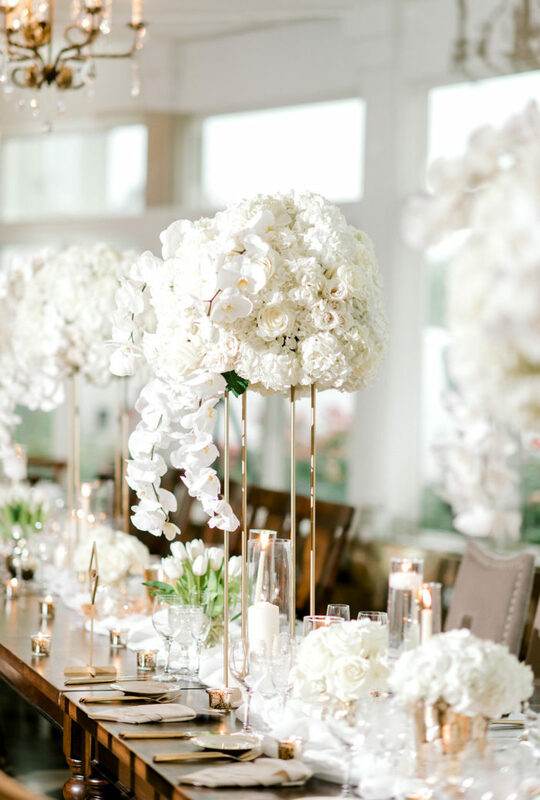 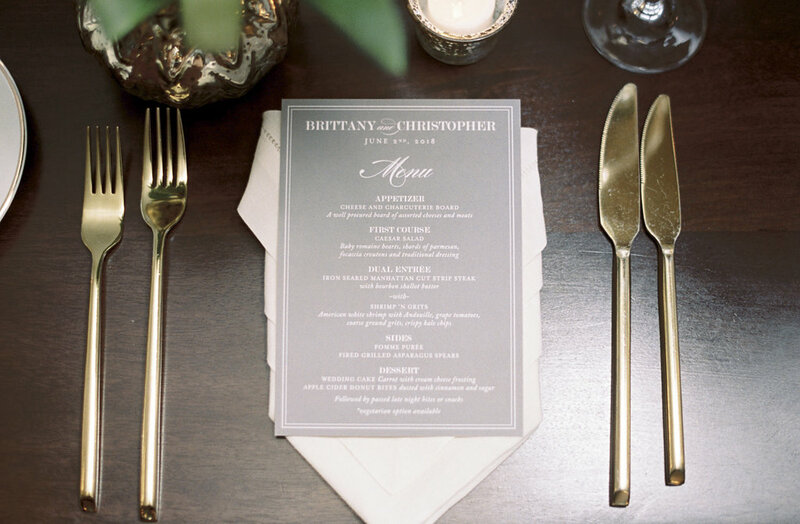 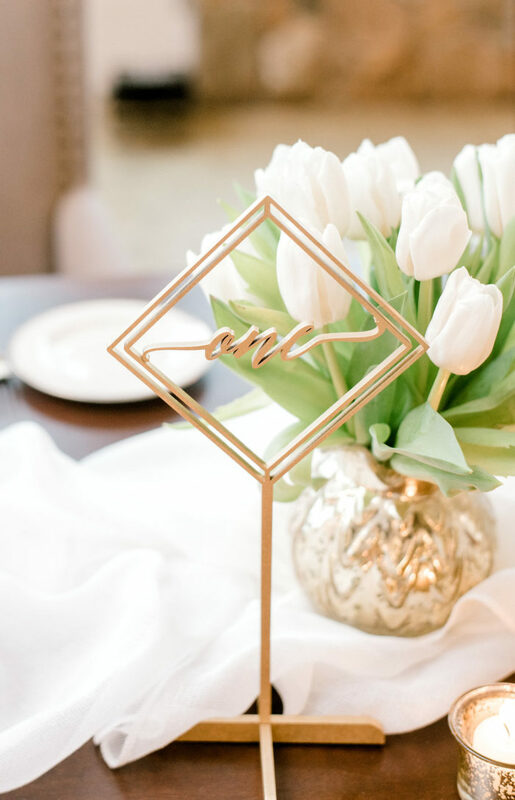 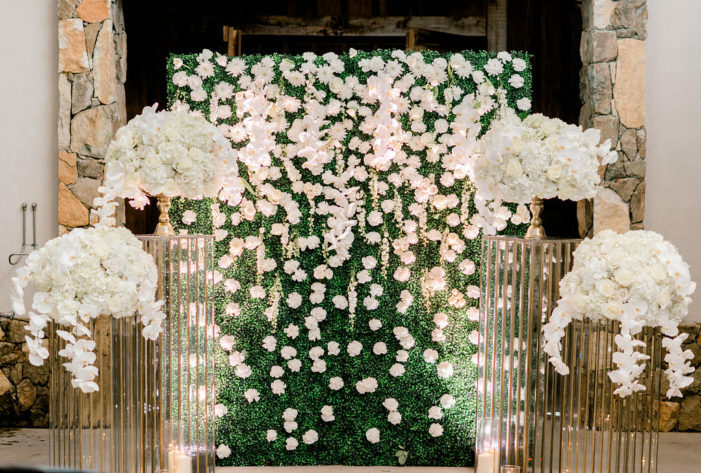 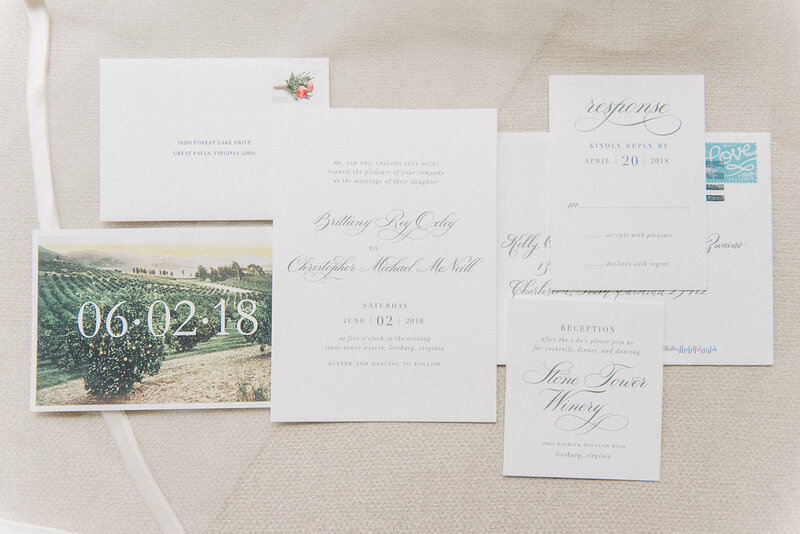 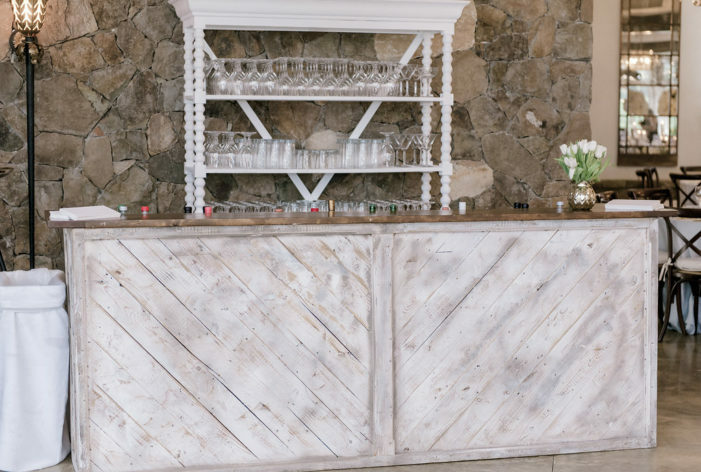 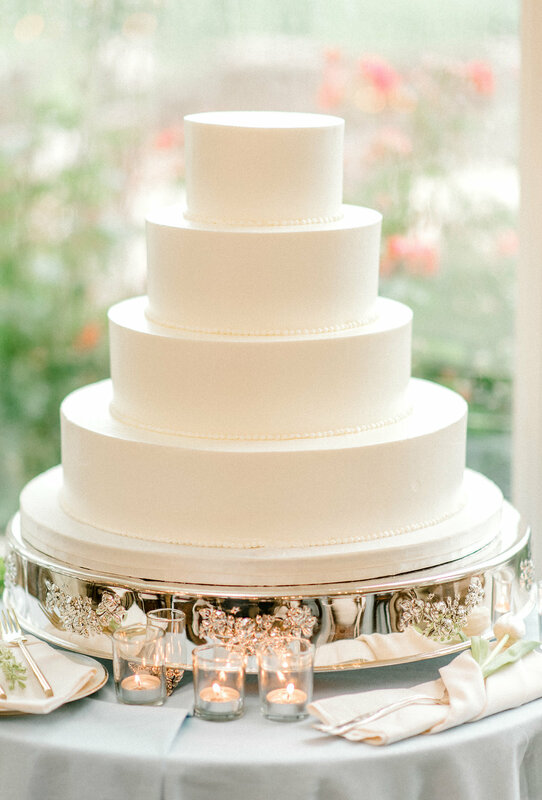 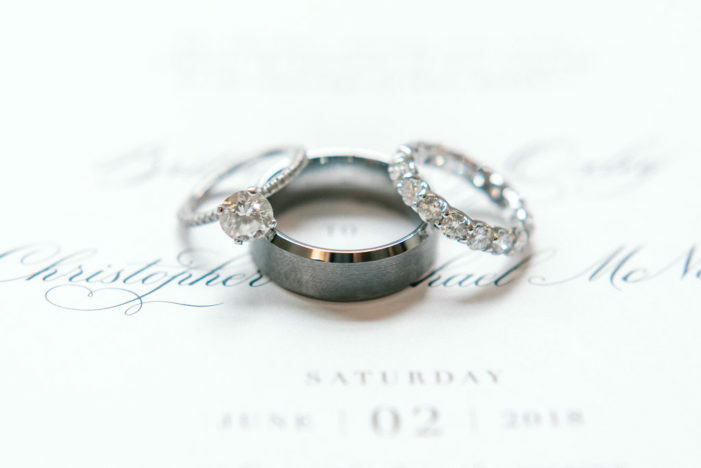 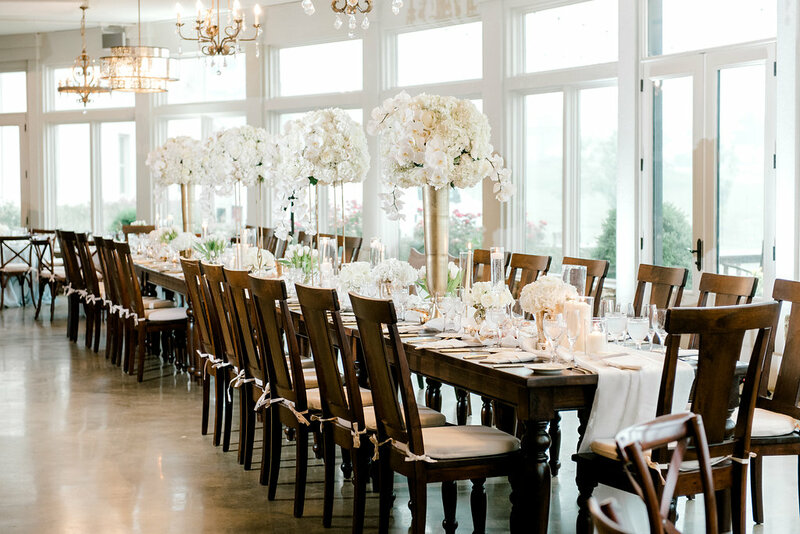 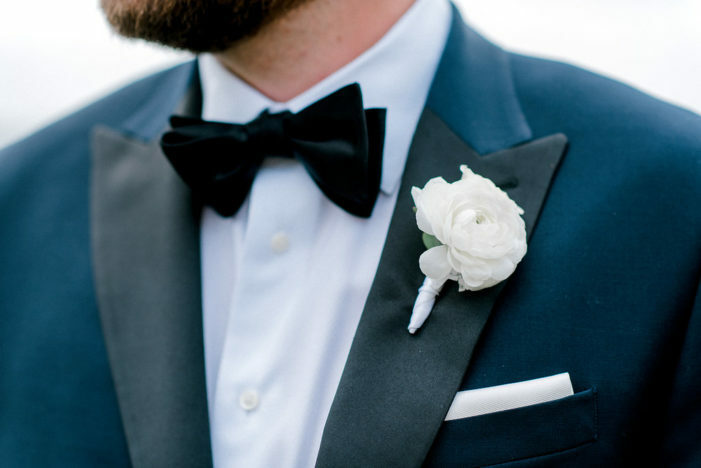 One color weddings do not have to be boring, but by adding texture they can really shine. 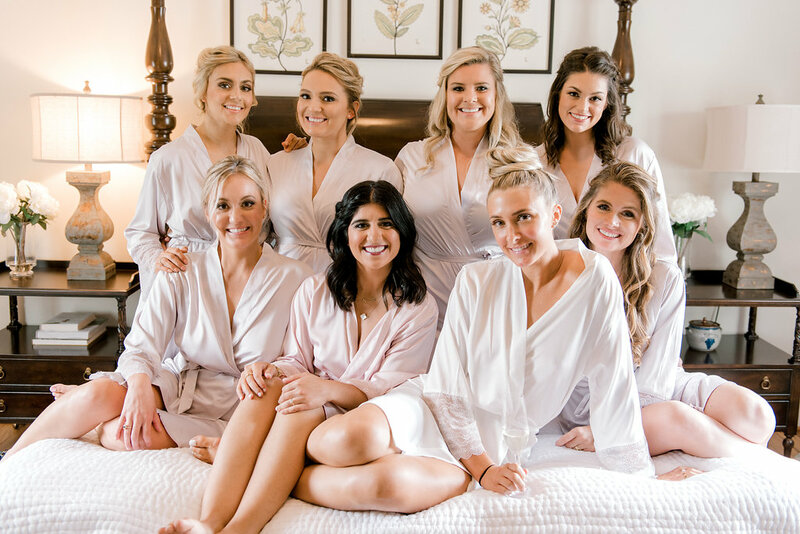 Thank you to SRS Events and Photography Du Jour for sharing Brittany and Chris’s glamourous wedding day.